Born in 1962 in İstanbul, he graduated from Saint-Benoit High School and Marmara University Faculty of Economics in English in 1988. Professionally Mr. Oran is the owner of his own textile company. During his professional career he has taken executive roles in several business organizations. He was particularly involved with projects concerning regional development and job creation throughout Anatolia. Turkish Clothing Manufacturers’ Association pioneered for opening of Anatolia to domestic and foreign investors with the slogan of “On-place Employment, Meal and Peace in Anatolia” that was “Project of Promoting Investment and Employment in Anatolia” under the chairmanship of Oran. He represented Turkish private sector in various common platforms with representatives of WTO, European Commission, USA Foreign Trade and performed various studies. 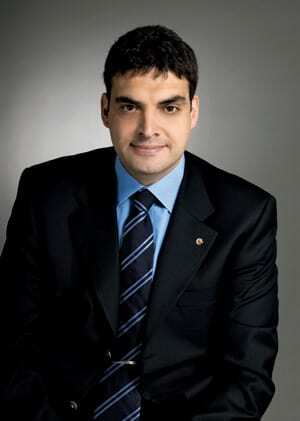 Between the years 2002-2003 he served as the President of the International Apparel Federation (IAF). In 2008 he assigned his company’s all rights to his staffer. After that, he is fully adopted himself to his political career in CHP. In May 2010 after the 33rd General Assembly of CHP, he was elected as the Vice President of CHP and continued until 2011. In the general elections of June, 2011, Mr. Oran was elected as a MP of the Republican People’s Party (CHP) from the 3rd district of Istanbul. He is currently Deputy for Istanbul. He is a close follower of the democratization agenda of Turkish Republic, particularly in the perspective of EU Accession. Mr. Oran, The former football player, speaks English and French and married. In 2002, Umut Oran has been awarded with the “Export Based Regional Development Award” within scope of “Stars of Export -Export Incentive Awards” by Globus, the monthly economy and finance magazine of the Dunya Newspaper. In 2003, the “Social Responsibility” award of “Platinum Tops” from Platin, the economy and actuality magazine. In 2003, during his presidency of TGSD “NGO of the Year” award in the “Honor Desk of Economy” annual elections of the Dunya Newspaper. In 2007, “Productive Businessman of the Year”.